ROI. Return on investment. It’s a simple concept that revolves around being able to identify financially smart media investments versus bad ones. 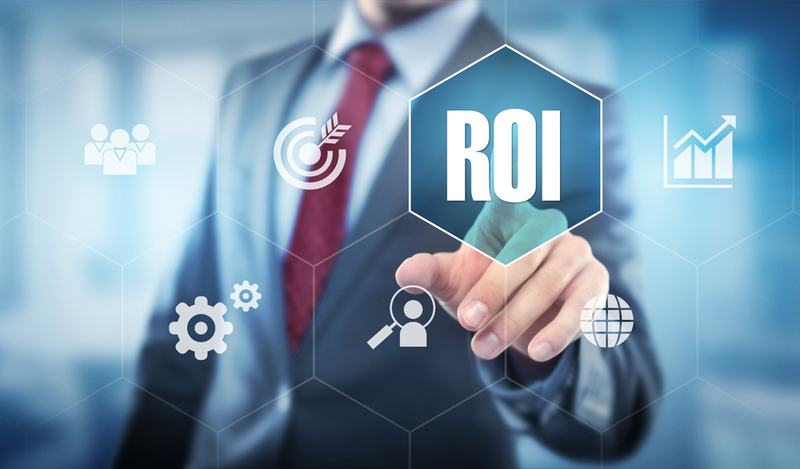 The traditional ROI equation (how much money is made from a campaign minus the amount of money needed to create/promote it) makes it obvious which marketing efforts were a good investment versus what was a flop. Online ads can be bought by the impression or by the click, then basic Google Analytics can track user behavior down to minute details. But over the past decade, social media has taken off, muddying the seasoned marketer’s go-to ROI formula. There’s no doubt that Facebook has value. But how the hell do you assign a price tag to something as abstract as having a large Facebook community? What is the ROI of having 10 page fans versus 10,000? It depends on your business goals and how you use it. What’s the ROI on consistently earning high post engagement from your social audience (engagement = likes/shares/comments)? Again, it all just depends. The perceived value of your social following really just depends on how you use it, and even then, it’s not a hard fast science. It’s social, which means it’s constantly changing. Think of Facebook as an ecosystem. You spend time learning about it, growing it, nurturing it. Your company’s fans are different than every other industry’s fans, yet they all want something similar. They want to be entertained & feel social. They don’t want to be preached to or yelled at. While nobody can tell you exactly the ROI of building a strong Facebook fan community, I can tell you this: the moment you start shoving your brand or sales Sales SALES down your community’s throat, that’s the moment your social ecosystem will start to die. When you start writing every post as if you’re writing ad copy for a discount used car dealership in the Sunday paper, you’re abusing your fans. And even though social media doesn’t have a magic formula to tell you the exact ROI of simply having a community and building social relationships, there’s undeniable value in having a base of loyal social media followers ( = online brand ambassadors). Brand building is a vital piece of every company’s marketing, and when you’re on a social network, you need to do it in a way that feels natural, organic & welcomed. So what’s the exact ROI of having a strong company Facebook presence and an army of social fans who are engaged in & actively following your brand? But regardless of the exact dollar figure value, any time you’re able to connect with your audience on a social level, that absolutely does have value, even if it can’t be measured to the penny. And that value will vary based on your business goals and ambitions. For now, the precise ROI of social media is a marketing mystery. All we can confidently say is that for many, many businesses, it’s definitely a good thing. And if you abuse it, you’ll lose it.